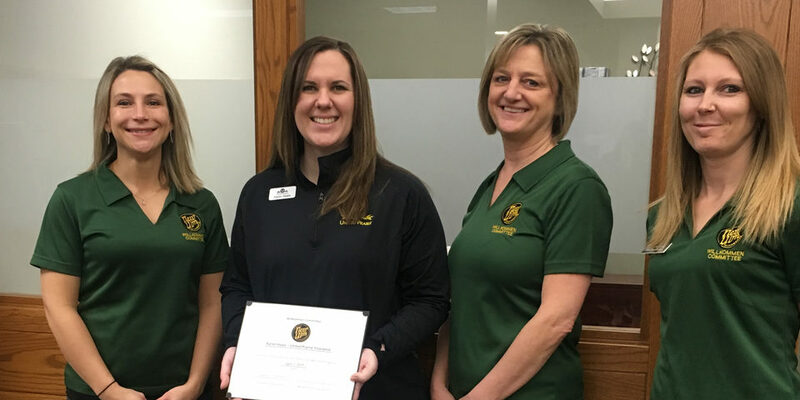 The Willkommen Committee recently stopped at chamber member Amerprise Financial Wealth Management Solutions to welcome new advisor Rachel Smith. Rachel is originally from Wisconsin and came to New Ulm as a student at Martin Luther College. After she graduated from MLC, she worked with recruitment before deciding that the financial industry was a better fit. Rachel, who has 4 years of experience in the financial industry, joined Ameriprise Financial in July. She lives here in New Ulm with her husband and two step-daughters, and is actively involved in the HYPE Young Professionals group. 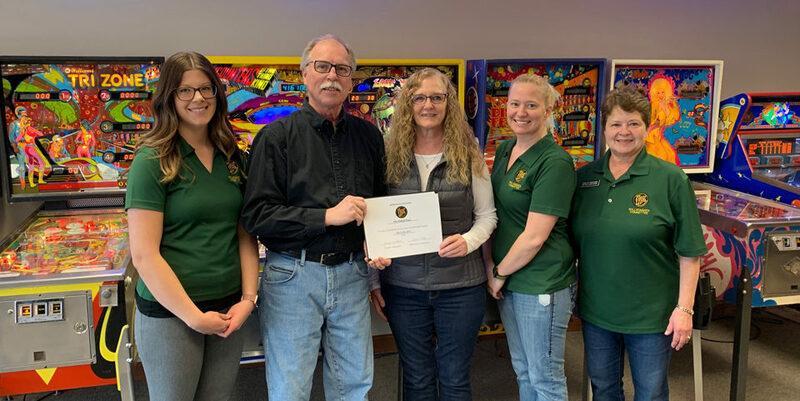 Contact her at rachel.smith@ampf.com or 888-356-7928, or stop by Ameriprise Financial offices at 510 2nd St N.
In the photo are: Jan DeLeo, Sid’s Signs on Broadway; Rachel Smith, Ameriprise Financial; Jess Gieseke, Maday Motors; and Beth Nelson, Insurance Advisors, Inc.